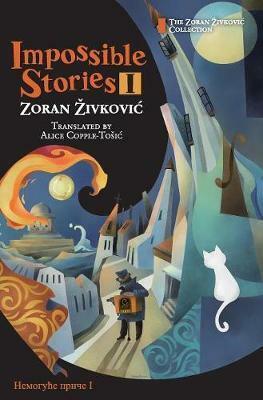 Impossible Stories I is a collection of several of the author's finest works, including Time Gifts, Impossible Encounters, Seven Touches of Music, The Library (winner of the World Fantasy Award), and Steps through the Mist. The perfect introduction to the incredible world of Zoran Zivkovic. Impossible Stories might be approached as if one were inspecting a handsome piece of furniture, a cabinet in which each of any number of regularly sized and shaped drawers is built precisely to contain and to somehow exemplify its own metaphysical freight or uncanny puzzle, and it is in the rhythm and variety of the whole, too, that the nature of Zivkovic's craft can be apprehended and enjoyed. --Tony White, Wasafiri ...even though they own and use computers, Zivkovic's characters seem decidedly nineteenth century. They are as intelligent and as neurotic as Poe's personae, and admirers of that master of the outre-or of Borges, Gogol, Capek, and Lem-will be enthralled by them. --Ray Olson, Booklist ...well worth reading for the ingenuity of Zivkovic's stories. He is extraordinarily clever and has a particular talent for devising awkward moral dilemmas for his characters. His writing is also ... quite unlike that of anyone else.